If you have not thrown off or an old or more recently, the dental implants will compensate for this loss. At al issawi for dental surgery and dental implantology center , which have to compensate the teeth by dental implants. 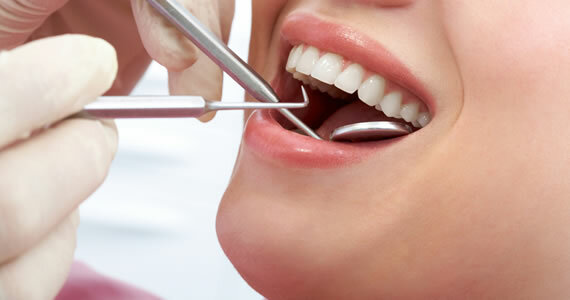 The elite of these operations qualified doctors highly qualified in the field of dental implants. We do not have a comprehensive study to know exactly for advantage in the Middle East, our center, but we claim we are confident that we are in the ranks of the centers, which occupies the forefront of dentistry, because we are planting teeth reverting best of modern methods and using very sophisticated equipment and materials of high-quality used by doctors are well qualified in the field of medicine teeth. The more tooth loss to be offset by the greater force applied to the remaining teeth and supporting dentures. When the patient loses or three years, the choice posed by the doctor usually is the installation of a bridge, but this depends on the state of dental bridge that will carry this case and support her bone. In some cases, when there is no sufficient teeth to carry the bridge it is impossible to put a fixed bridge. And here we can use partial dentures moving to compensate for the lost teeth and this kit is distributed forces on the adjacent teeth as distribute it to the gum tissue and bone encased dental kit. Moving dentures cheaper than traditional fixed bridge, but it is larger and less stable than fixed bridge size. And most of the time you can see the metal loop at the smile. In some cases the use of dental kit partial neighboring natural teeth damaged because of excess force borne by these teeth. So we consider that in our moving fixtures should be temporary pending the completion of Agriculture, which is the golden solution to compensate for the loss of teeth, including quite similar to natural teeth. When you put the implant in place of missing teeth, it will help to absorb some of the load resulting from the forces of chewing and this makes it easier for neighboring natural teeth withstand the pressure. As well as use it in case of missing teeth implants place it is possible to use it fixed above the bridge instead of the partial mobile dental kit.